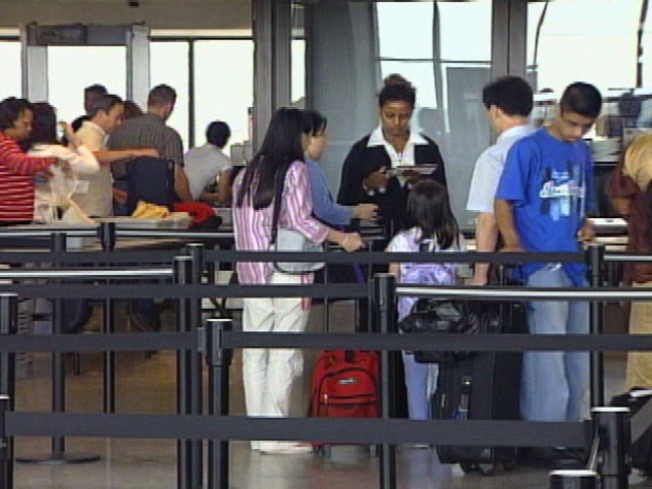 AAA predicts a busy travel season. Holiday travel can be challenging enough, having to tote loads of bags and gifts through busy airports. Traveling with children can make it that much more difficult. But April Peveteaux, editor at Babble.com, road-tested these items below. She says they made her travel experience while toting an eight month-old and a three-year-old a whole lot easier. It's not only adorable, but practical! You can pack games and books in this carry-on size suitcase. It comes in different animal patterns and bright colors and sells for $49.99 through Amazon. This is actually a camera bag, but its separate compartments make it easy to organize your stuff. Put snacks, baby bottles, and other items each in their own place. Makes it easy to reach when needed. The leather bag sells for $169.99 from Jill E.
It looks like an adorable stuffed monkey, but if you undo the velco straps, it becomes a blanket! Zoobies are available in different animal species and sizes, and costs $25 through Zoobies. This perfect airplane companion provides plenty of quiet activity time for children. It's a dress-up game that even comes with a handle for easy carrying. It's available in different themes: pirates, princesses or celebrating the Jewish holidays. Price: $19.95 from Babalu. Zip up soiled baby clothes and other messes in this useful bag. It's perfect for separating what's leaked, spilled or squirted. The bag comes in two sizes and several different styles. Prices start at $17.95. For more ideas from April Peveteaux's travel article, click here.